No-Churn Paleo & Keto Vanilla Ice Cream 🍦 Just 2g net carbs! 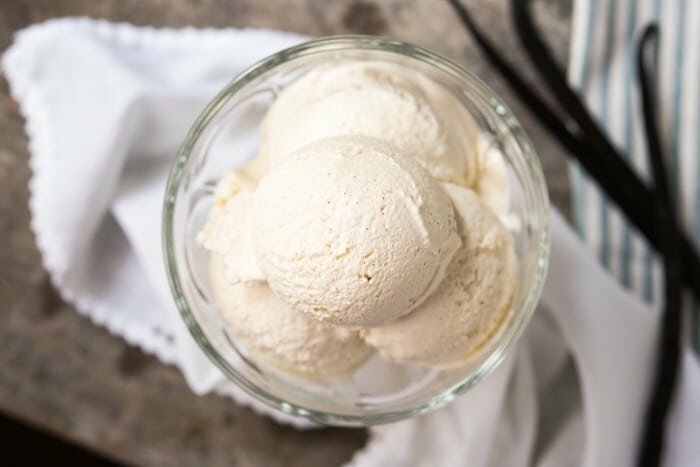 This no-churn paleo and keto vanilla ice cream is ridiculously creamy and fragrant. Plus, it won’t freeze rock solid, like your usual homemade low carb ice cream! Oh, and you can find the older version of the recipe now re-labelled as our keto frozen yogurt. 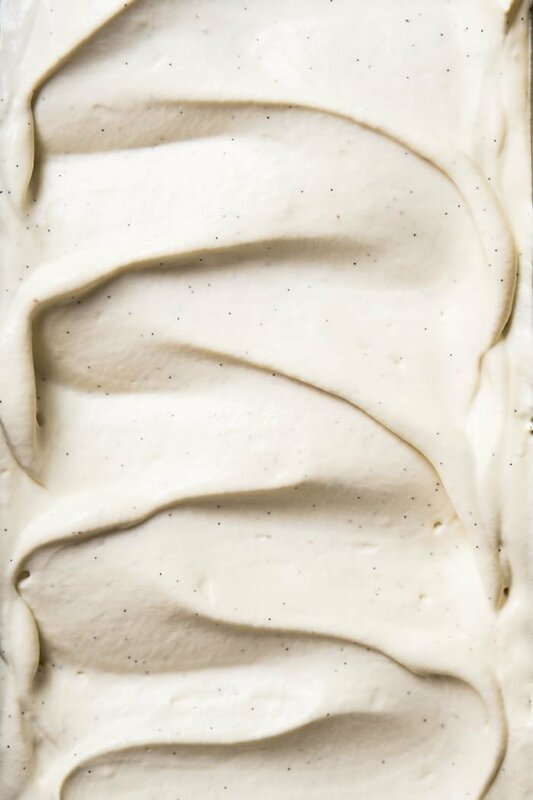 We’ve updated our popular keto vanilla ice cream to make it no-churn, extra creamy and with an added dairy-free and paleo option. It’s modeled around our keto chocolate ice cream, one of the most highly rated recipes on the site! Plus, it won’t freeze rock solid, like your usual homemade ice cream. Staying extra creamy is the ice cream’s specialty. And did we mention 2g net carbs per serving?! This is truly a bargain when you think that most low carb store-bought ice creams hover around 4-7g net carbs a scoop. Making this no-churn keto chocolate ice cream is a breeze. Think melting the sweetener into (full fat!) coconut milk, infusing with vanilla, whisking in a tad of xanthan gum or arrowroot flour if paleo (which act as a stabilizers here), and incorporating the cooled mixture into whipped cream. You see, by whipping up the heavy (or coconut) cream you’re incorporating quite a bit of air. 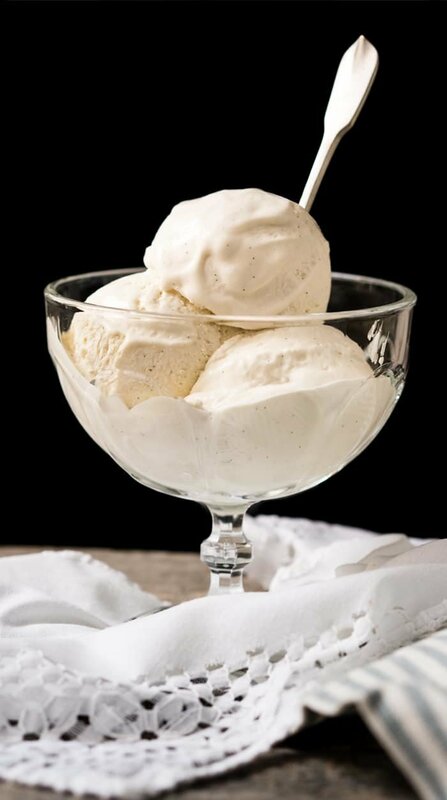 And the addition of xanthan gum helps keep your ice cream creamy smooth. 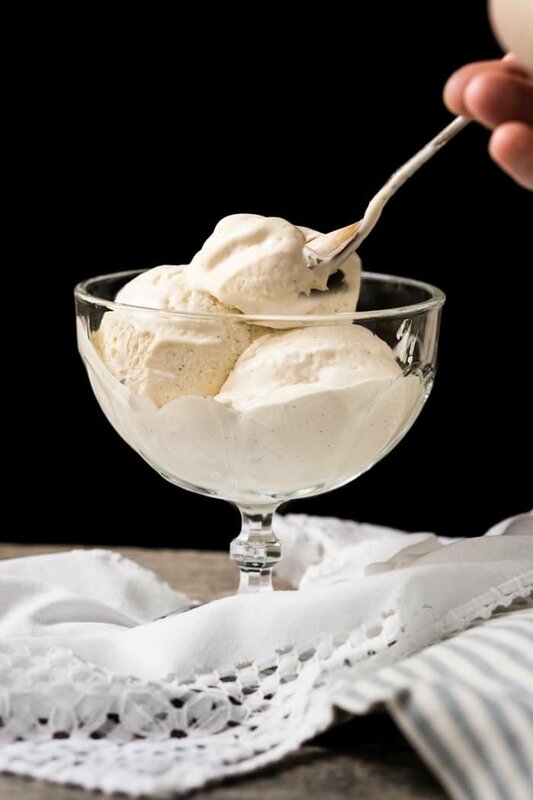 And if you plan on making a larger batch and letting it hang in your freezer, it’s generally a good idea to incorporate a couple of tablespoons of booze into your ice cream. Remember that high alcoholic beverages do not freeze, so they will help your ice cream stay creamy smooth rather than rock-solid. Just don’t overdo it, or you’ll end up with a slushy. Using a vanilla bean (i.e. pod) and infusing the coconut milk with it is ideal in order to get that natural and complex vanilla flavor. But you can also readily make it with just vanilla extract (up to 1 1/2 tablespoons). In terms of brands, we’re huge fans of Nielsen-Massey’s Madagascar vanilla for this keto vanilla ice cream. And for pretty much every baked good, it’s seriously the best stuff. 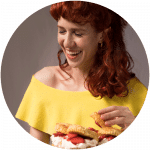 Xylitol is, without a doubt, the best sweetener for keto ice cream. It helps to retain the creamy texture (i.e. just like the alcohol, it prevents it from freezing rock solid), and allows you to skip the churning if need be in many recipes. Having said that, this no-churn vanilla ice cream is sooo luscious, that you can get away with using erythritol with great results too. With our no-churn methodology, you can whip up any flavor of your choosing! Just note that the ‘coconut mix’ without the cocoa will be slightly thinner. 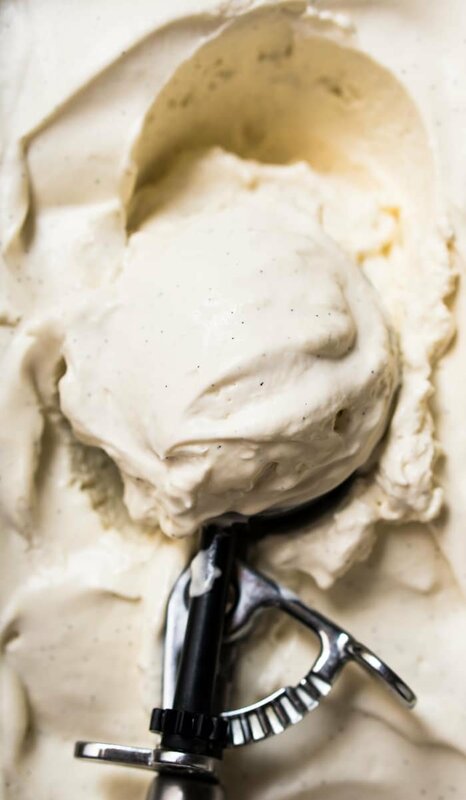 This no-churn paleo and keto vanilla ice cream is ridiculously creamy and fragrant. Plus, it won't freeze rock solid, like your usual homemade low carb ice cream! Slice open the vanilla bean and scrape the seeds with a sharp knife. Add coconut milk, sweetener, vanilla bean with scraped seeds (if using), and salt to a saucepan over medium heat. Whisk until all the solids from the coconut milk have the dissolved and the mixture is smooth. If using a vanilla bean, simmer for 15 minutes to infuse the milk. Remove the vanilla bean and sprinkle xanthan gum little by little and blend until fully combined. If paleo and using arrowroot, dissolve it first in a tablespoon of cold water (i.e. make a slurry). You will likely have some air bubbles, but be sure to check there are no lumps. Any lumps will be resolved by mixing with an immersion blender (or in an actual blender). Sieve the mixture to a bowl, cover with a layer of cling film (saran wrap) laid directly over the vanilla mixture, and allow the mixture to cool completely. The texture will be thick and jelly-like (don't worry, your ice cream won't have this texture!). Add heavy whipping cream or cold coconut cream to a large chilled bowl and whip until soft peaks form. Mix in vanilla extract and the cooled vanilla mixture. (Optional): add in your booze of choice (omit if using the larger quantity of vanilla extract). The mixture should be thick but still slightly pourable. And, if for any reason your mixture is too thick, thin it out little by little with more coconut milk. See recipe video for texture reference. Transfer ice cream to a sealable container and place in the freezer until frozen (4-6 hours to overnight). And note that you can still use your ice cream machine if you wish (roughly 15 minutes to churn). 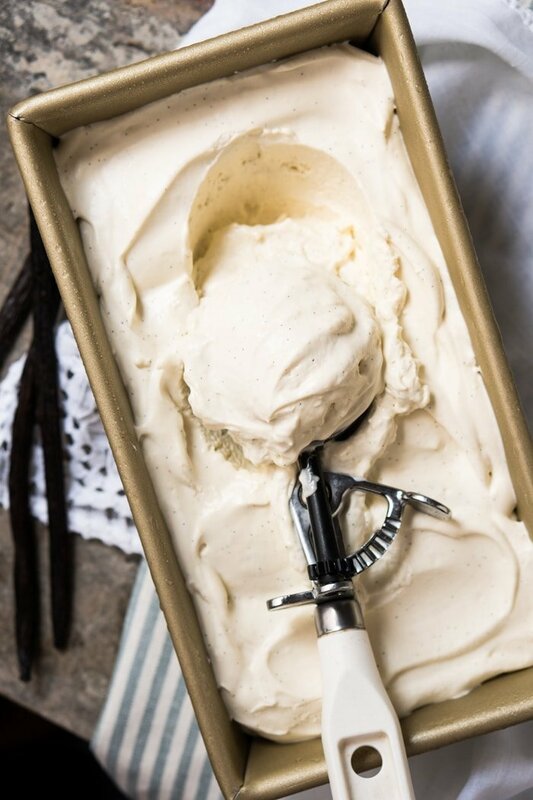 If freezing overnight: take out your ice cream 10-20 minutes prior to serving (depending on your room temp!) and scoop away. *You absolutely NEED to use full fat coconut milk here! As lighter versions are simply diluted in water, and they'll make your ice cream more icy. ***Be sure to measure a very lightly packed 1/4 teaspoon of xanthan gum, as it's an ingredient that's easy to overpack. And if you overdo it, you'll get gummy ice cream. And if paleo, simply substitute it with 3/4 teaspoon arrowroot flour. ****Booze is totally optional, it just keeps your ice cream from freezing rock solid. 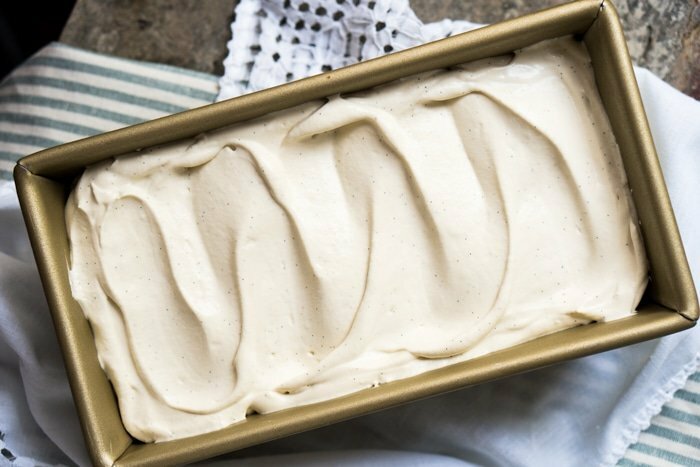 This ice cream is super creamy though, so 10-15 minutes at room temp make it ultra scoopable once again. Please note that nutrition facts were estimated per 1/2 cup serving. This recipe yields approximately 5 cups. SO I have tried many recipes on here and I love most of them. I’m sure I will love this one as well once I change sugars. I did it with Swerve this time and made half of the recipe just to try it out . Up until about hour 6 it was scoopable and similar to frozen whipped cream. ( I used 3 tsp of extract and also a little extra xanthan gum). Now, it’s rock hard and has crystals and when it melts it’s still a bit icy in texture. The flavour is good, so I’m excited to try with xylitol or allulose :-). This recipe isn’t entirely clear. Am I using powdered sweetener or granulated? Am I mixing the coconut milk over the stove until it’s thick, or just until it’s all blended together? Am I allowed to use stevia. Help! I accidentally added the vanilla extract to the milk mixture. I didn’t want to throw it all out so I’ve let it cool but it is not jelling up as you describe. Everything else was exact to the recipe. Will mine thicken up and be useable? If not, is there anything I can do with it? Thank you! Don’t worry! The reason you add the extract at the end is because the alcohol evaporates with heat so you lose some vanilla kick. If you added the xabthan gum and it’s not too solid don’t sweat it (keep in mind the chocolate will be super thick because of the added cocoa, vanilla for me is more jelly like after chilling). Different brands can give you diff results, but just keep going xo! Amazing!!!! I used the bullet to powder the xylitol before, this was amazing! Everyone who has tried it loves it and actually prefers this to the sugar one! I tried with powdered monk fruit and it didn’t work, stick to the xylitol. I also tried it in the ice cream maker to see what would happen and it worked better without the churn! Now I’m trying to figure out how to make flavor variations with this as the base? I made it twice. First like the recipe and it was a little icy. A second time I used egg yolks 3 to be exact and also 59-50 mix of heavy whipping cream and coconut milk with erythriol as the sweentner both times. 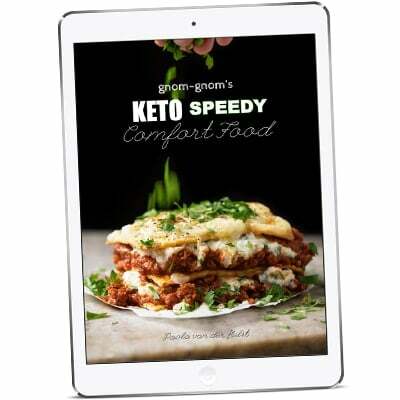 I loved it with the way it came our perfect the second way as I’m strictly keto. 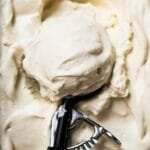 My husband has ulcerative colitis and said it was the best homemade ice cream ever. Where do you find xanthan gum ? Supper Markets? Bob’s Red Mill is a brand. Check the baking aisle. Most major chain grocery stores carry that line. I’ve made ice cream with coconut cream before, and it always comes out grainy instead of smooth like it would wit cream. Do you have any other suggestions for ice cream made without dairy? Ice cream is one of my favorite foods, but i’m Trying to be dairy free!! Your work makes me so happy. I love the keto lifestyle and love it even more knowing I can still enjoy certain treats. Thank for all your hard work. Do you have a recipe book for all your deserts? Hi, made this yesterday morning and had some last night, amazing flavour, tastes creamy, but I found that it didn’t seem as cold as ice cream gets and there was icy particles. I followed recipe, had all ingredients. What sweetener did you use Danielle? I just made this and it was so good, all your recipes always turn out perfect for me. Thank you so much.